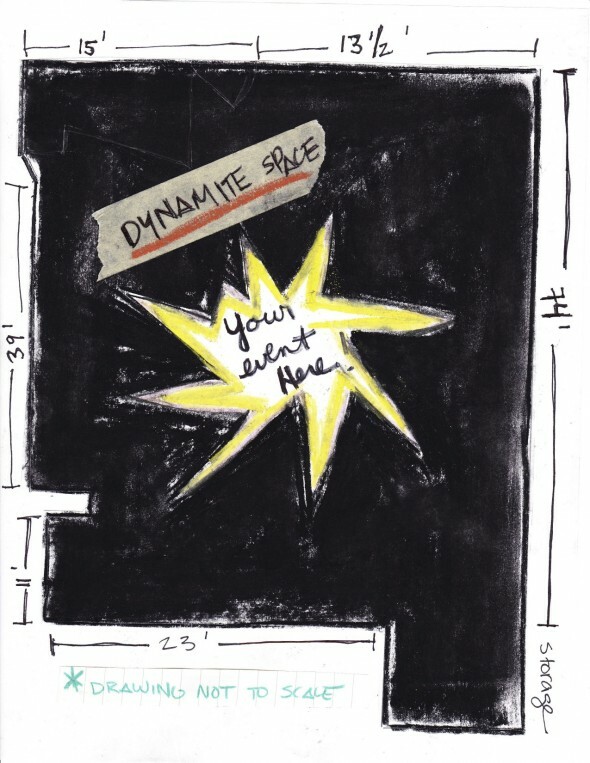 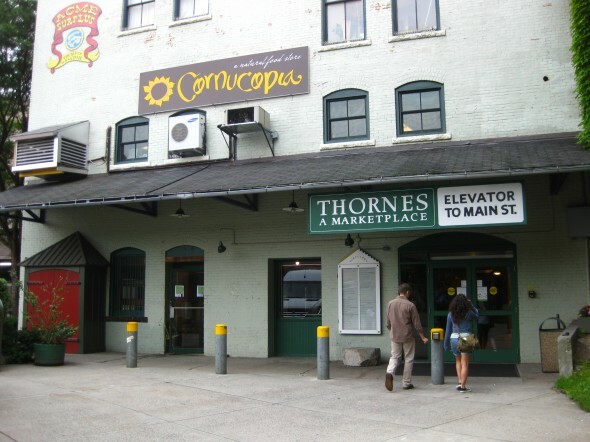 Dynamite Space is an open, raw space with wood floors, brick walls, and large windows, conveniently located at 150 Main St., in the basement of Thornes Marketplace in the heart of downtown Northampton, MA. 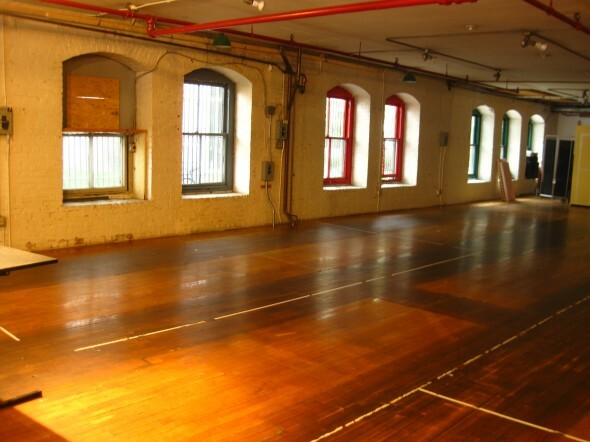 The space measures roughly 2,000 sq. 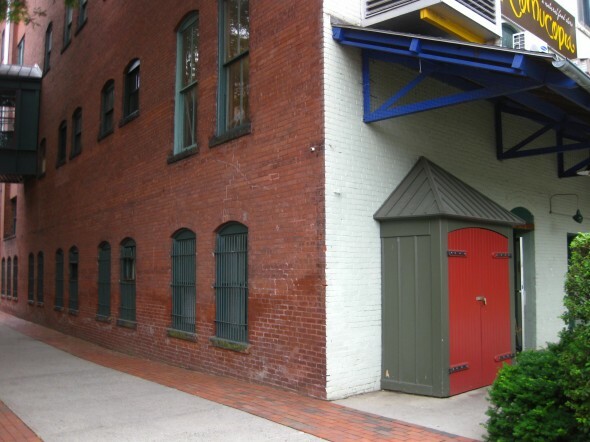 ft., big enough to accommodate large groups of people. 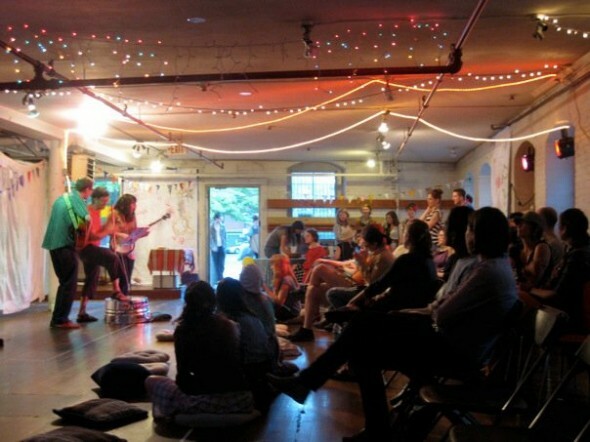 There is a small raised stage, two entrances, and some lighting. 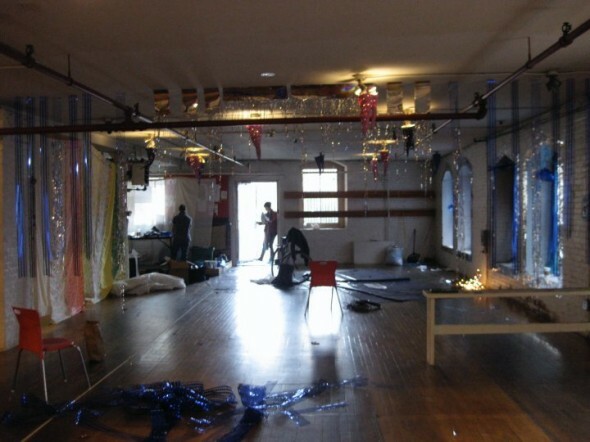 The space is ideal for almost any event, such as workshops, poetry readings, art shows, performances, meetings, and classes. 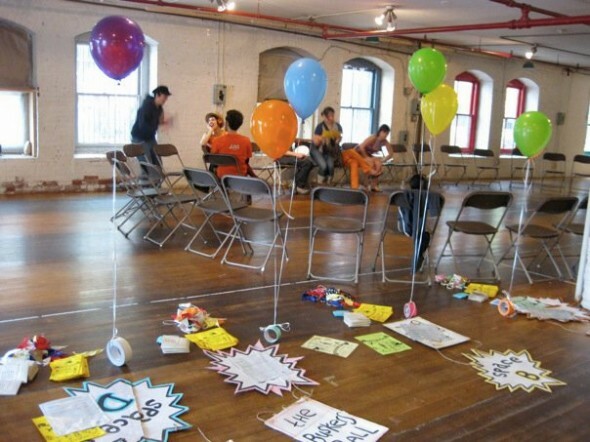 Check out some photos of Dynamite Space below!